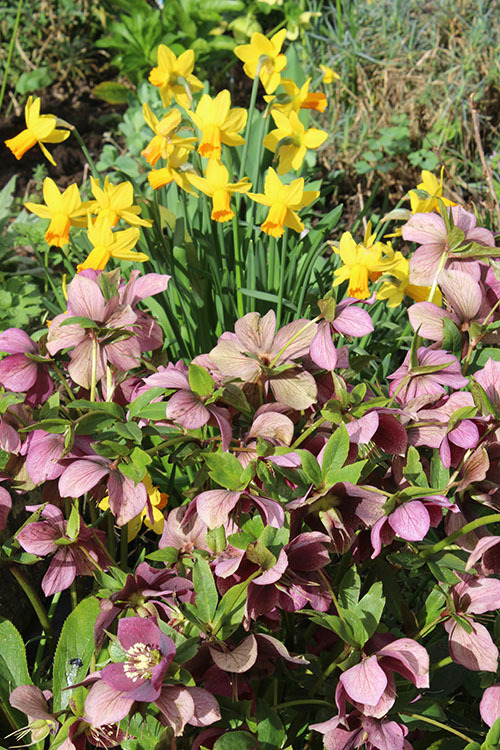 March may be filled with the sunny glow of the daffodil, but it has a loyal compatriot in the tough, cold-hardy Hellebore. These harbingers of Spring thrive side-by-side in the flower borders around my pond, and together with the early-evening song of a vociferous blackbird, they mark the turning of the season. Hellebores have a demure charm, with gently nodding heads that hide their true glory. But the blooms can become hidden among the large saw-toothed leathery leaves, which turn an unsightly crispy brown as they age. So remove the old leaves now, if you haven’t done so already. 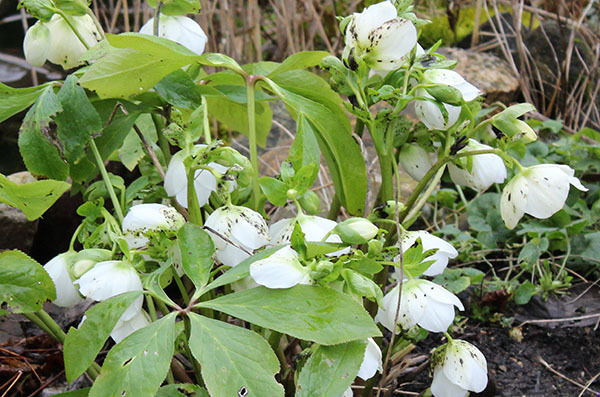 This will give pollinators better access to the flower heads and reduce the likelihood of Hellebore leaf spot, a fungal disease that pock marks the flowers with black spots. If, like me, you already have this problem on some of your plants, then the only solution is to remove and destroy all the infected leaves and blooms (there is no chemical solution). If you leave infected material around the plant, it will be a source of repeat infection next year. 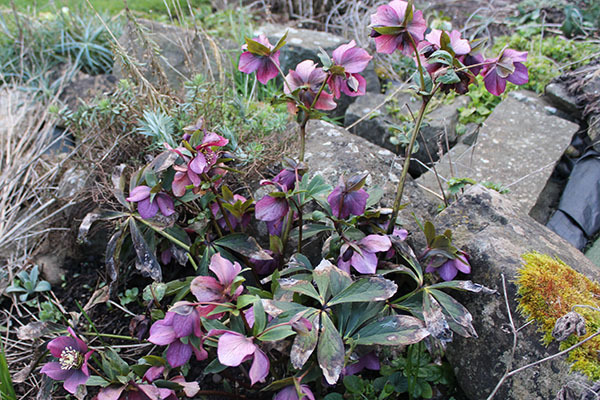 So give your Hellebores a tidy up early in the season (it’s an easy #15greenmins job) and enjoy their magnificence. Hellebores favour a humous-rich soil in shade or part-shade with good drainage, but I’ve found they flourish in full sun as well. 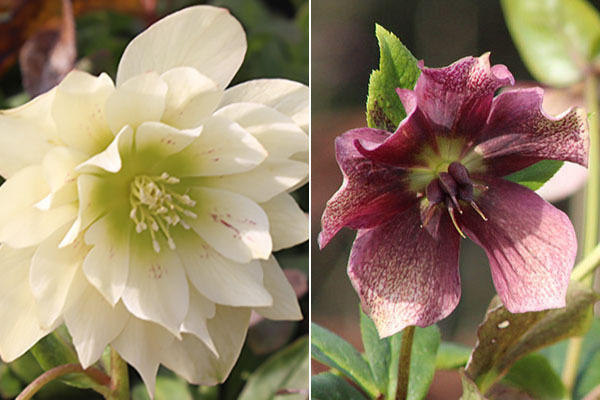 With hundreds to choose from, including double blooms and freckled varieties, if you don’t have a Hellebore in your garden yet, get one! I guarantee you’ll be hooked.